Several weeks ago we reported on how President Obama’s jobs bill could help some nonprofits by giving them payroll tax credits for hiring veterans and people who have been unemployed for a long time. As predicted, Senate Republicans filibustered the President’s bill this week, defeating the plan to quickly create at least 1.3 million jobs and raise economic growth by 1.25 to two percent. With 14 million people unemployed, sinking wages, and “another” recession on the way, the failure of the Senate to try and work out an effective compromise is being called a major blow to the country’s economic revival. The bill was expected to create 200,000 to 300,000 jobs per month, adding revenues to the tax base, lowering the deficit, and increasing funding for important domestic spending. The proposed bill was criticized by some in the nonprofit world for overlooking the important role and particular needs of nonprofits in the economic recovery, although most representatives of the sector backed the overall plan and approach. Under the plan, nonprofits wouldn’t get the same benefits as for-profits and the plan would be funded by limiting writeoffs for charitable deductions. Like ARRA, the last sweeping recovery initiative, additional funding aimed at stimulating the economy would largely come from changes in tax law. More than half of ARRA’s 787 billion dollars were generated through taxes. The tax incentives in the new jobs bill include halving the business share of the payroll tax on the first $5 million of payroll, deductions for businesses that add workers or raise wages, credits to encourage hiring veterans and long-term unemployed workers, and an extension of 100-percent expensing on capital equipment purchases. It remains to be seen what will become of the jobs legislation, although the process is expected to be long and painstaking. Both parties are now reconvening to break the bill up into individual pieces in the hopes of moving them toward bipartisan passage. 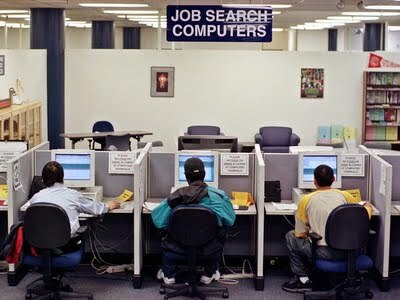 One component of the bill that has generated controversy and is likely to hold up compromise is President Obama’s Bridge To Work program, which would let employers train unemployed workers without pay, allowing the trainees to remain on unemployment insurance for up to eight weeks. Many employers and labor advocates say that training workers without pay creates inequity in the workplace and holds neither employers nor employees accountable. Under the program, employers would not be obligated to hire the trainees. Bridge to Work would only be open to jobless workers receiving Federal unemployment benefits that kick in after six months of state benefits have run out. The bill would reauthorize the Federal benefits, which are set to expire in January. Some opponents have said that states should be encouraged to implement Bridge to Work without reauthorization of the Federal benefits. The program is based on existing models such as the state of Georgia’s Georgia Work$ initiative. Despite Obama’s enthusiasm for Georgia Work$, the state’s Labor Commissioner said the program is only marginally successful. Only 92 people have signed up for it in the eight months since it began.